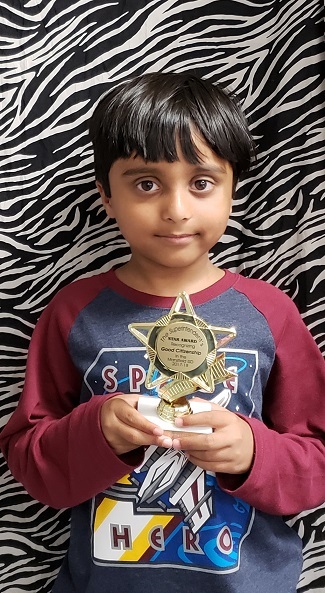 Muhammad Hamzah, a first grade student at Willie Brown, is our Superintendent’s Star Award honoree for April. According to his teacher, Mrs. Everhart, she nominated him for the distinction, because Hamzah fulfills and “embodies every WBE expectation”. He is unfailingly kind, honest, responsible, and respectful to everyone he meets. Hamzah always takes pride in his work and strives to do his best. Like the star on his award, Hamzah is a shining example and guide for those around him.